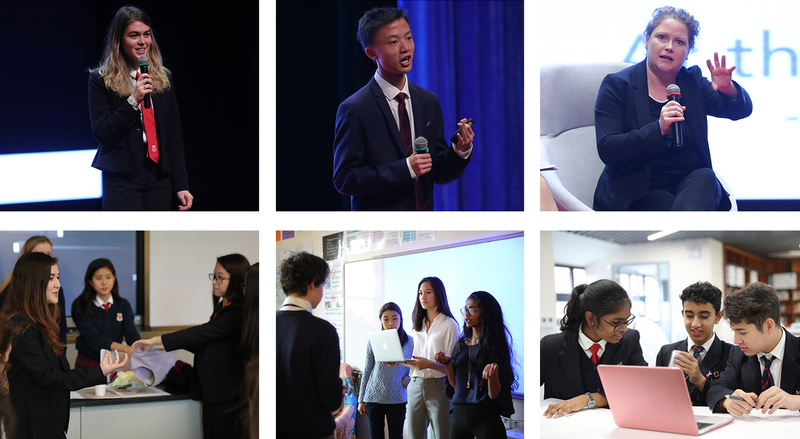 Dulwich Talks on 29 November was a day of engaging, impactful speeches and inspirational workshops given by invited keynote speakers from around Asia and the UK. This entire event was organized by Fredric, along with Olivia, Sophie, Winston, and Hongzhi. This year, there was an explicit emphasis on student initiative, involvement, and engagement. In the end, 42% of workshops were run by students, helping to develop and foster individual passions within the student body. The event was specifically designed for students in Years 10-13, and embraced international experiences, open-mindedness, and the nurturing of students beyond the everyday curricula. It also engaged our school community in issues of global importance and promoted intellectual curiosity and debate. Between the speeches and workshops, there were Explore! sessions, in which students engaged with speakers directly, and Panel Discussions, which brought together speakers with diverse backgrounds in a multi-disciplinary manner. Each year, the event is centred around a theme. This year, the age-old human practice of storytelling was highlighted with the theme “At the Frontier: Stories”. The diversity of keynote speakers offered a great range of valuable perspectives. From a Cambridge astronomer to the Assistant General Counsel of the Asian Development Bank, a Syrian refugee to the CEO of a global company, the lineup offered insight and perspective, while also stimulating discussion. We are reminded that there is always something at the frontier, and much more to be found beyond it which offers hope and ambition, as we head into a future where current students will be the leaders of tomorrow. We thank everyone for their support of the Dulwich Talks initiative!